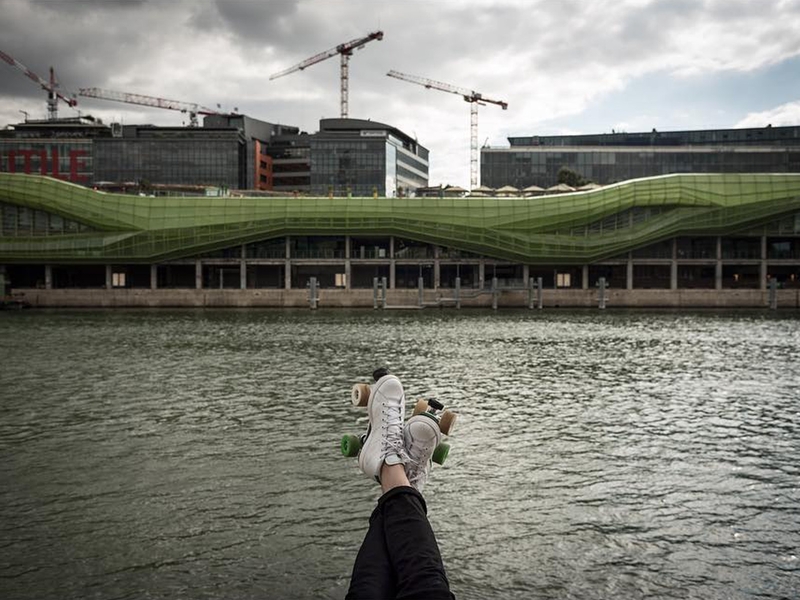 Blog - Rolling on the Seine ... on skates! 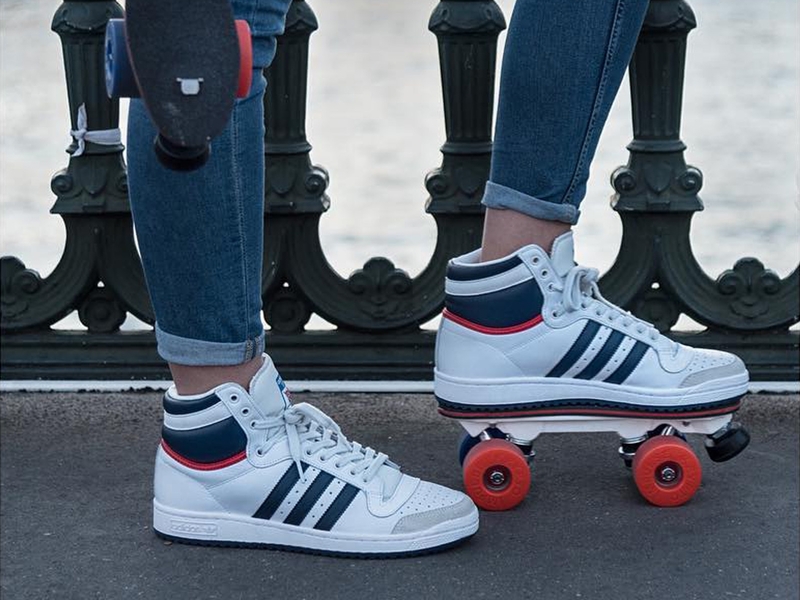 The Clique thinks about you and puts on its skates on the Seine by going to the Concorde Atlantique in Paris on August 3rd, for an evening and an original roller dance workshop! Located along the Seine in Paris, this barge offers a beautiful view over the Tuileries Gardens, but also over the Alexandre III bridge and the Grand and Petit Palais. Since fifteen years, the largest barge in Paris (in terms of capacity), offers activities and evenings. 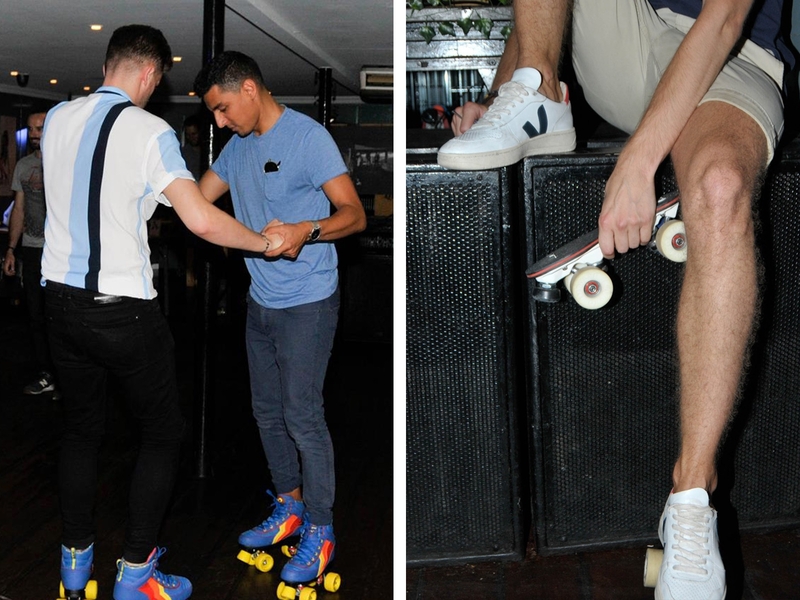 With Flaneurz, the Concorde Atlantique is trying out a new kind of event: a workshop and a roller party with skates at your feet! This place is famous for salsa parties every tuesday. On friday evenings, events are particularly appreciated by parisian night out lovers. If you are not a dancer, you can enjoy one of the two barge terraces to drink cocktails, comfortably seated in a hammock. This location is sunny in this season, then you will enjoy a sunset over the main parisian monuments. As announced in one of our previous article, we will animate your parisian evenings this summer! We are waiting you at the Concorde Atlantique, for our new event. The barge organizes this roller party in honor of the Gay Games launching, which will begin on August 4. Flaneurz joins the adventure to highlight gender diversity and tolerance through sports. The previous events success, such as at W Paris - Opéra (discover our article), we’ve been convinced to meet all of you again but in a new place. You are more and more to join our community. If you are not yet one of us, you can find the perfect pair for our evenings on our e-shop. In any case, the Clique will be there for the skate rental. From 6:00pm to 7:00pm, come to train at the workshop! For regular skaters as well as beginners, a roller dance workshop will be offered by Flaneurz. Be the first to come and enjoy the presence of Flaneurz ambassadors, such as the members of the SkateXpress crew. They will give you advices to enjoy this evening with your skates in Seine. From 7:00pm to midnight, you will dance and stroll! Initiation to skating and animated choreography, the beginning of this gathering promises to be festive. The first steps will quickly give way to wild footwork, giving free the possibilities to illuminate the dance floor. After the workshop, you can enjoy the space set up for this roller party and enjoy the presence of our Skate Guard. They will ensure safety on the dance floor. 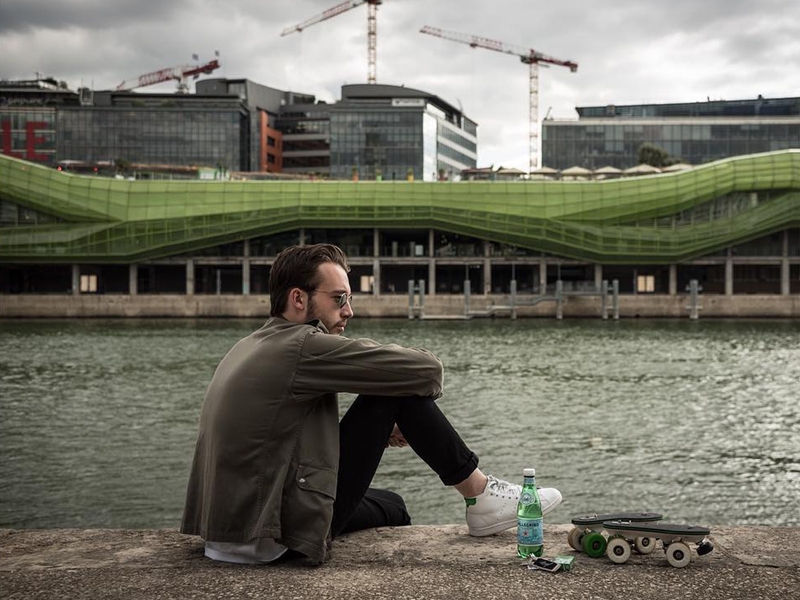 Like "La Main Jaune" in the 80s, you will stroll, or simply discover the joy of twisting at the rhythm of the music, always with your skates in Seine. The barge Concorde Atlantique - 23 Quai Anatole - 75007 Paris. Le Vendredi 3 août 2018 à partir de 18h jusqu’à minuit. The Flaneurz Clique, our ambassadors, all the skates community and you. For the first time, Flaneurz took part at the BBoat Party, the friday 3rd of August: Concorde Atlantique barge offered an unique place, a Roller Rink on the Seine. 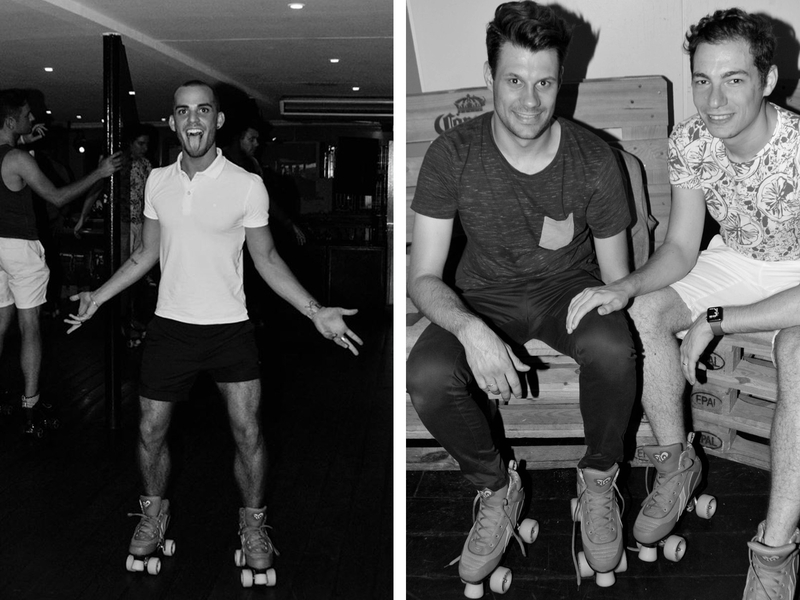 Our Skaters shyness was felt early in the evening, but we had Poupa and Florian Gravier! Our ambassador and Skate Guard, followed by the cofounder of Flaneurz, have been present for you during the workshop. You discovered skating pleasures all the evening too. Thanks to your confidence and your happiness, you illuminated the dance floor with wonderful choreographies. You have been a lot to discuss about our innovation and it was a pleasure to show you all the possibilities with Flaneurz. Feel free to join our adventure: the newsletter and social networks (Facebook, Instagram and Linkedin) will inform you about Flaneurz news. Feel free to follow us on social networks. Choosing to spend your evening on the Seine, it’s choosing to spend it Flaneurz on feet.